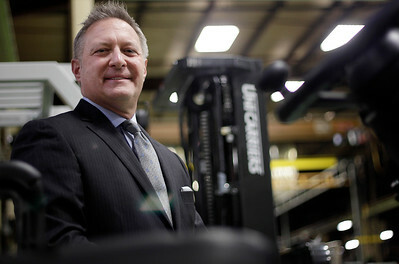 Matthew Apgar - mapgar@shawmedia.com Unicarriers President James J. Radous III poses for a portrait at their forklift manufacturing facility on Friday, Jan. 29, 2016 in Marengo. 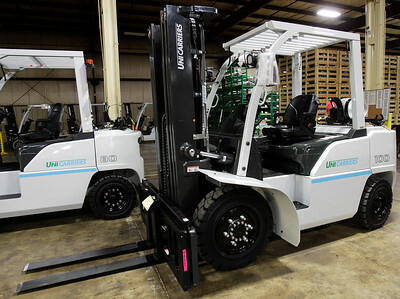 Matthew Apgar - mapgar@shawmedia.com A Unicarriers G04 forklift sits finished in the manufacturing facility as it awaits shipping on Friday, Jan. 29, 2016 in Marengo. 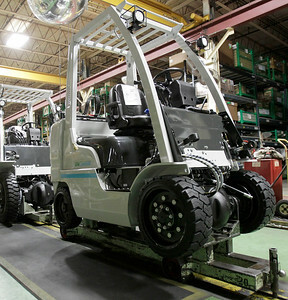 Matthew Apgar - mapgar@shawmedia.com A Unicarriers forklift sits along a manufacturing line in their facility on Friday, Jan. 29, 2016 in Marengo. 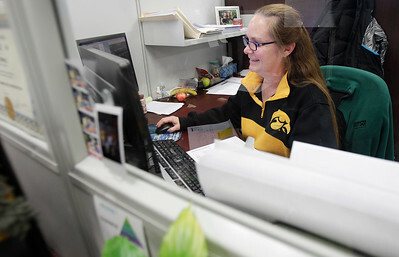 Matthew Apgar - mapgar@shawmedia.com Unicarriers accounts receivable analyst Chris Farmer works on her computer on Friday, Jan. 29, 2016 in Marengo. 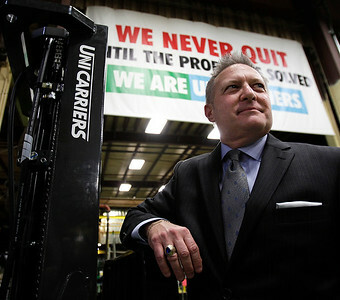 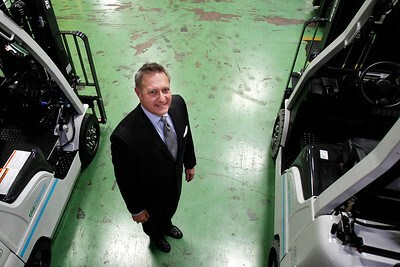 Unicarriers President James J. Radous III poses for a portrait at their forklift manufacturing facility on Friday, Jan. 29, 2016 in Marengo.